Each day, the U.S. conducts more than $3.3 billion in trade with its North American neighbors. Exports to Canada and Mexico generate nearly $37,000 in annual export revenue for every American factory worker. Canada and Mexico purchased 1/3 of all U.S. manufactured goods in 2016. Trade with Canada and Mexico supports nearly 14 million U.S. jobs, and nearly 5 million of these jobs are supported by the increase in trade facilitated by NAFTA. 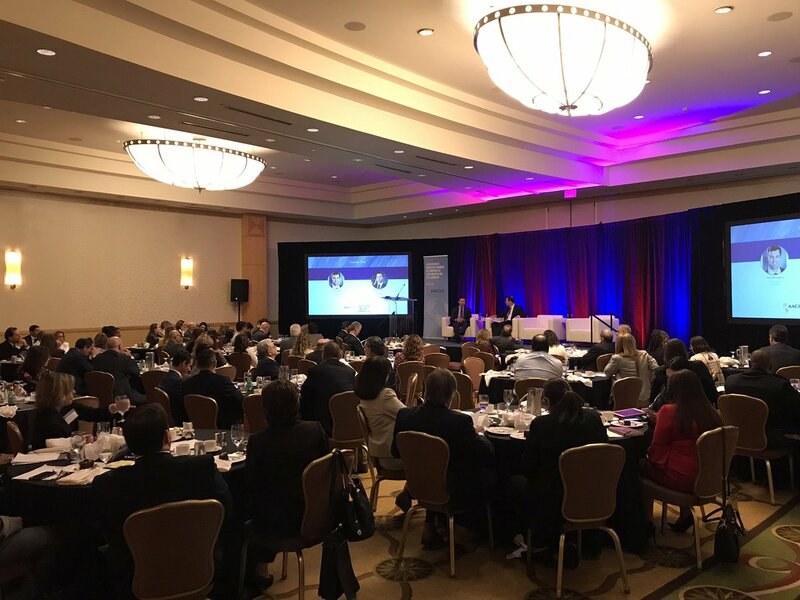 Acting in partnership with the U.S. Chamber of Commerce — the world’s largest business federation – AACCLA has become the premier advocate for U.S. business in the Americas. 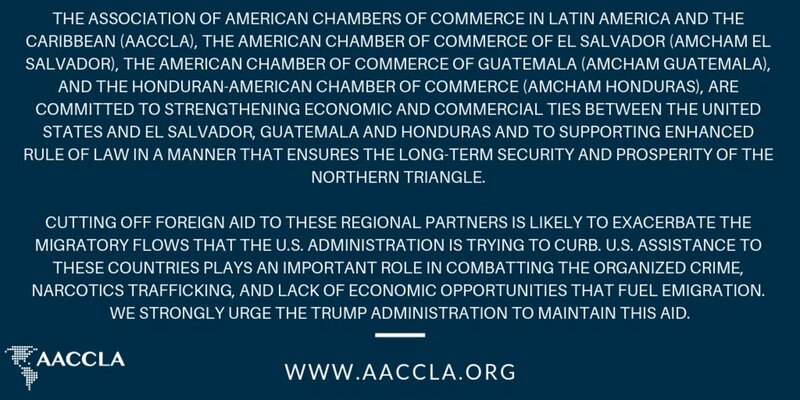 AACCLA’s mission is to promote trade and investment between the United States and the countries of the region through free trade, free markets, and free enterprise. In our last session, a dynamic conversation between Neil Herrington, SVP for the @USCC_Americas and Kevin McAleenan, @CBP Commissioner.